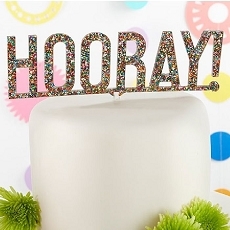 Top the most special cake you'll ever enjoy with our Gold Double Heart Cake Topper! 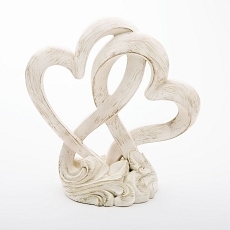 The cake topper features two open hearts joined as one, and a simple acrylic stem displays it on your cake. The simple design of the Gold Double Heart Cake Topper is a great classic choice, as it blends seamlessly with a variety of wedding decors. Acrylic cake topper with gold open heart design.